Recommended Care: Machine wash warm, dry flat. 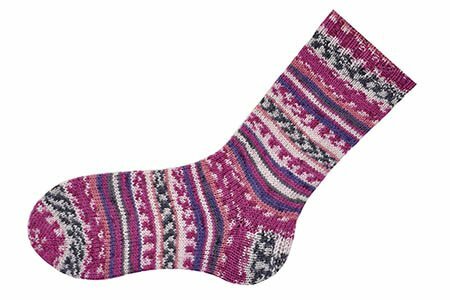 A soft sock-weight yarn in that knits up in a self patterning Fair Isle look. Smooth bamboo gives this yarn the perfect feel for socks, shawls, baby garments, and more!